I have so many books dedicated to exercises I can do with my horse, but there’s something about actually WATCHING the exercise that makes it so much easier to visualize. 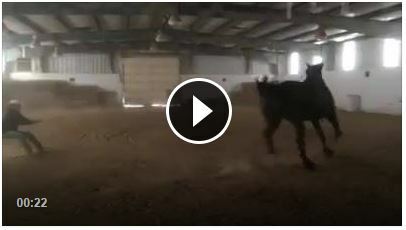 This is a great jumping exercise that can be used for any discipline. Just lower the poles if you don’t jump! Share this on Facebook if you’d try it at home! 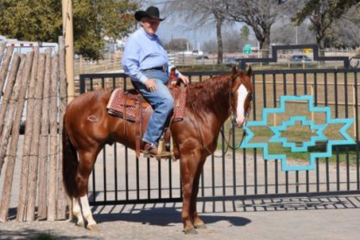 When You Can’t Show Real Horses – This Is The Next Best Thing! 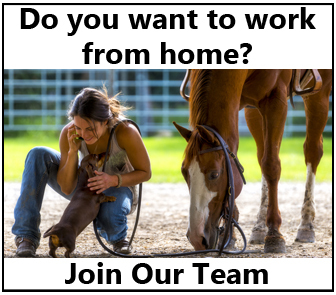 Watch This New Equine Sport – Arena Skiing!!!! 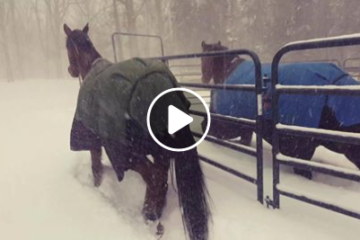 Horses Say NO THANK YOU to the SNOW!